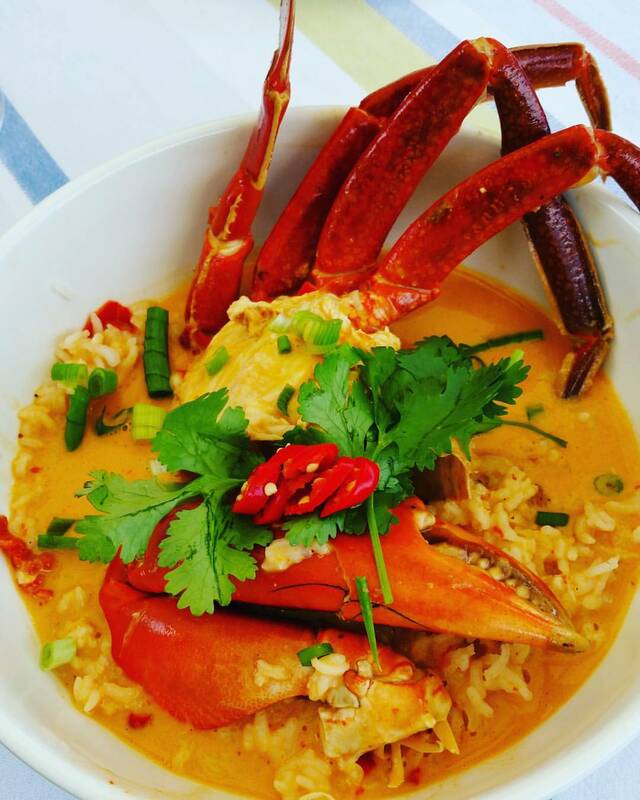 Coconut Chilli Crab Curry – Super easy! 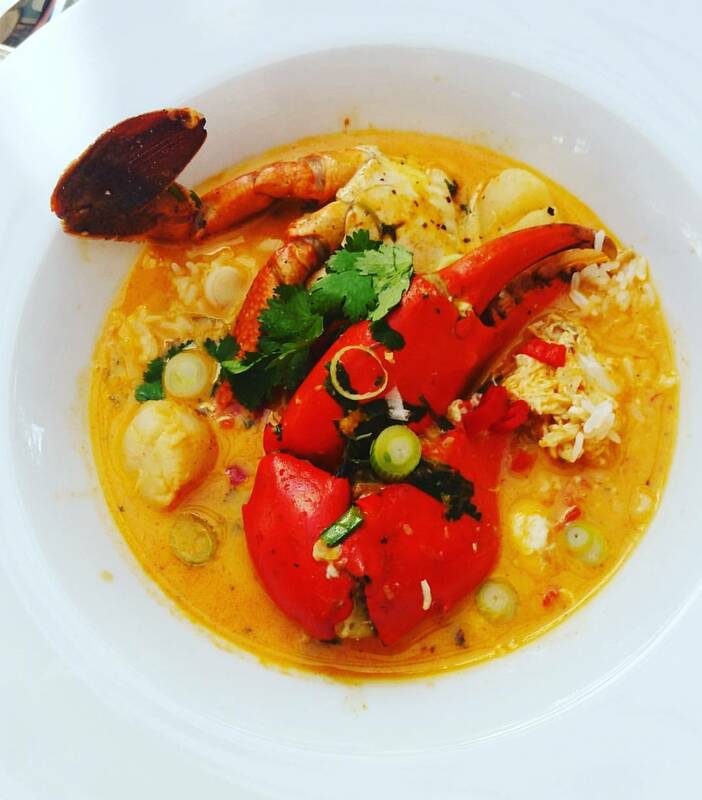 I love curries in winter and this is one of my favourites! Coconut creamy with a punch. Delicious! Just add some steamed rice to it and you have a comfort, almost fine dining, dish! If you can’t handle really spicy food just add a little bit to your taste. •	2 big Mud Crabs or 4 blue swimmer crabs (uncooked). I highly recommend the Mud Crabs but if you can’t find them or they are more expensive just add some scallops to the curry to have more meat to eat. 1. Lift top hard shell from crabs and use fingers to scrape insides. Wash, then split in half. 2. Heat the oil in a large wok over high heat then stir-fry the crab pieces in batches until they turn pinky red. Remove and set aside. 3. In the same wok, stir fry garlic, ginger and chili for 1 minute. 4. Add the juice, waer, sauces and paste and simmer for 2 minutes. 5. Blend in the coconut cream. 6. Bring to the boil then return the crab to the wok. 7. Simmer covered, for 4-5 minutes, adding a little water if the sauce reduces too much. 8. Stir in the coriander and onions, then serve at once over steamed rice. Divine!! You will definitely impress your guests or your husband for that matter! Enjoy it and please leave your comments below. Happy eating!! 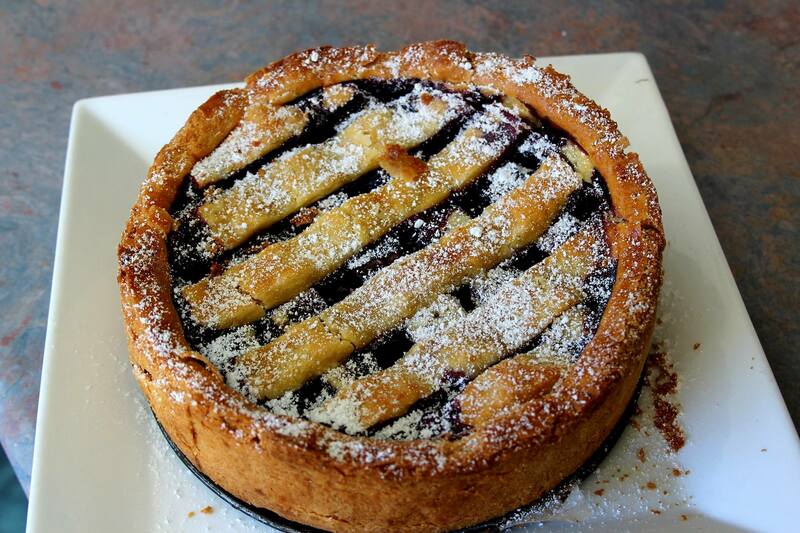 In Italy “crostata” (an Italian baked tart or pie) is very popular and I grew up eating so many of them, typically made with jam or fruit preserves such as apricot, cherry, peach or berries. These are the most traditional ones but I like to change it and include fresh fruit. You can use any kind of fruit, ricotta or even just Nutella for the kids. The best part is the mouth-watering shortcrust pastry! It’s perfect with a cup of tea or coffee. So what are you waiting for? Give it a try and bake this one with blueberries, you won’t regret it! 1- To make the shortcrust pastry, beat butter in an electric mixer until pale, add icing sugar and yolks and beat to combine, then add flour and vanilla seeds and stir to combine. Wrap in plastic wrap and refrigerate to rest (30 minutes). 2- Roll out two-thirds of pastry to 5mm thick on a lightly floured surface, line a 24cm tart ring, trim edges, then refrigerate to rest (30 minutes). Roll out remaining pastry to 5mm thick and cut into 3cm strips with a serrated cutter. Refrigerate until required. 3- Preheat oven to 170C. Combine blueberries, sugar, flour, lemon rind and vanilla seeds in a bowl, toss to combine and place in tart base, then arrange strips of remaining pastry to create a lattice pattern on top. Brush with eggwash, scatter with extra sugar and bake until golden and bubbling (1-1¼ hours). Serve warm or at room temperature with hazelnut ice-cream if you have some or any other ice cream will be perfect! 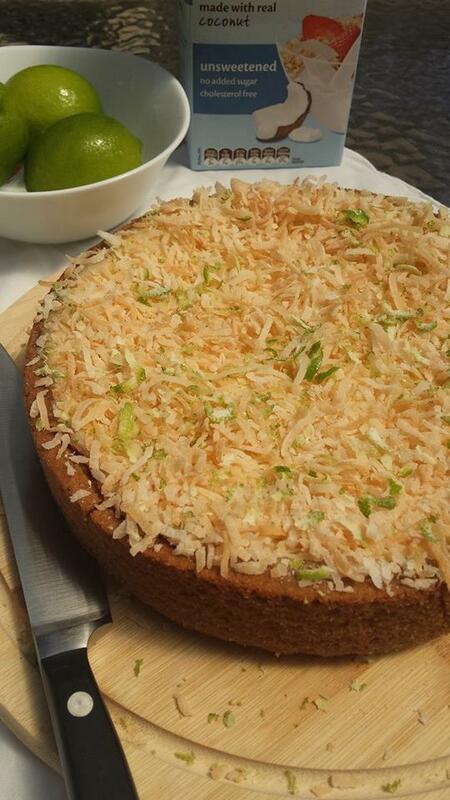 Experience a totally tropical taste with this lime and coconut tart – complete with toasted coconut. 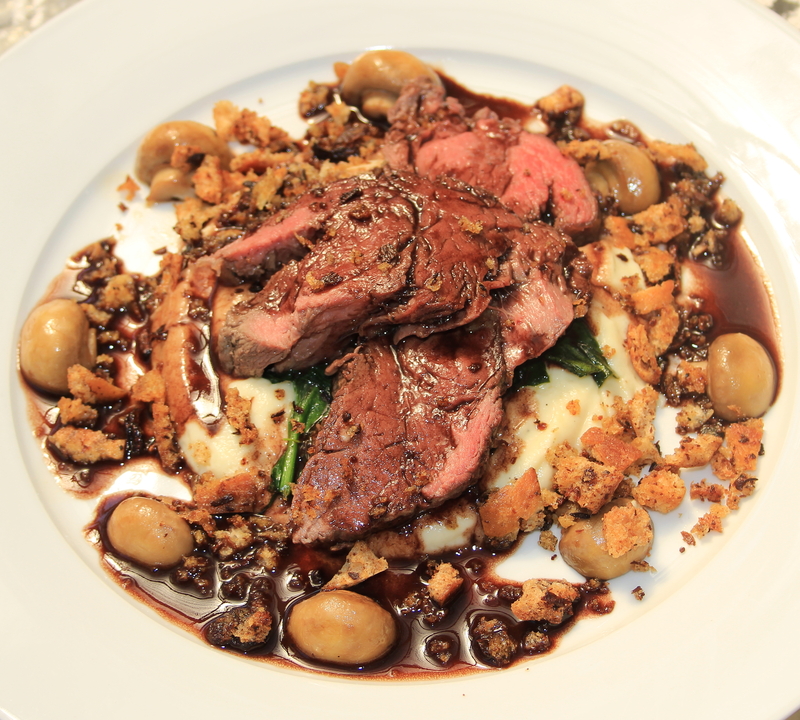 This recipe is simple to make but the flavours will certainly impress your dinner party guests. 1. Heat the oven to 180°C/fan160°C/gas 4. Whizz the biscuits and coconut in a food processor until they form fine crumbs. Pour in the butter and, with the motor still running, whizz until the mixture has the texture of wet sand. Tip into a 23cm x 5cm deep fluted tart tin with a removable base and press firmly into the base and up the sides to form the tart case (it needs to be well packed to hold together). Chill in the freezer for 10 minutes or in the fridge for 20. 2. Remove from the fridge or freezer, then put on a baking sheet and bake for 10-15 minutes until evenly golden and smelling toasted. Don’t worry if a little butter escapes from the base. Remove from the oven and leave to cool completely. Turn the oven down to 130°C/fan110°C/gas ¾. 3. Meanwhile, in a large mixing bowl, whisk the coconut milk, condensed milk, coconut cream, lime juice, eggs and yolks together with a balloon whisk until smooth (don’t worry about the odd small lump of coconut). Leave to infuse while the tart case cooks and cools, then sieve into the cooled tart case and return to the oven. 4. Bake for 50-60 minutes until the filling is set but still with a slight wobble in the middle. Remove from the oven and cool completely, then put in the fridge and chill overnight. Serve sprinkled with shavings of toasted coconut and fine strips of lime zest. This gorgeous tart will actually benefit from a night in the fridge as it will firm up the texture and make it easier to cut. Take out of the fridge 40-60 minutes before serving, so it can come back to room temperature. Lightly whisk leftover egg whites, then put in a sealable plastic bag (marked with the number of whites and the date) and freeze for up to 3 months. Defrost overnight in the fridge, then use for meringues. Alternatively, use them to make chocolate mousse. Make the tart and keep it chilled in the fridge for up to 24 hours before serving. I love to be invited for lunch or dinner and I’m sure you do too right? Well, not long ago a friend of mine invited my family and I for lunch and she asked me to bring one of my yummy cakes. I looked at my pantry and I found Marzipan (almond paste very popular in Germany and Austria) and decided to make this delicious cake. It was such a great success with her husband that a few months after she called me asking me for the recipe to surprise her husband on his birthday. She found it easy to make and very delicious. Now it’s your turn, give it a try, you won’t regret it. 1 – Knead marzipan on a surface lightly dusted with icing sugar until smooth and pliable (1 minute), then halve and roll out each piece to 4mm-thick. 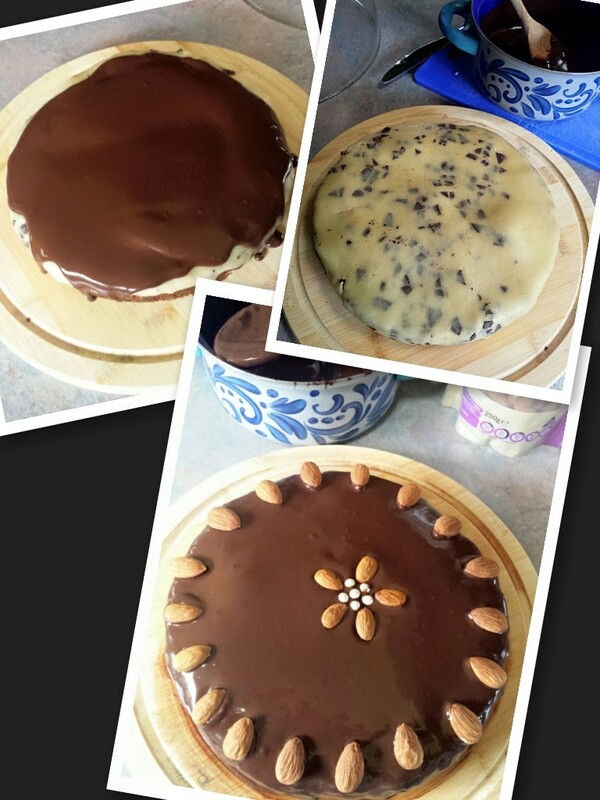 Cut an 18cm-diameter circle from each, place on a tray lined with baking paper and set aside. 2 – Preheat oven to 140C. Beat butter, sugar and vanilla seeds in an electric mixer until pale and creamy (3-4 minutes), then add eggs one at a time, beating well and scraping down sides of bowl after each addition. Sift in flour, spices and a pinch of salt, fold to combine, then add chocolate, dried fruit and candied peel (or even just some orange rind peel). Stir to combine, then spoon half the batter into a buttered and floured 18cm-diameter cake tin. Smooth top, place one marzipan circle on top, then spoon over remaining cake batter. 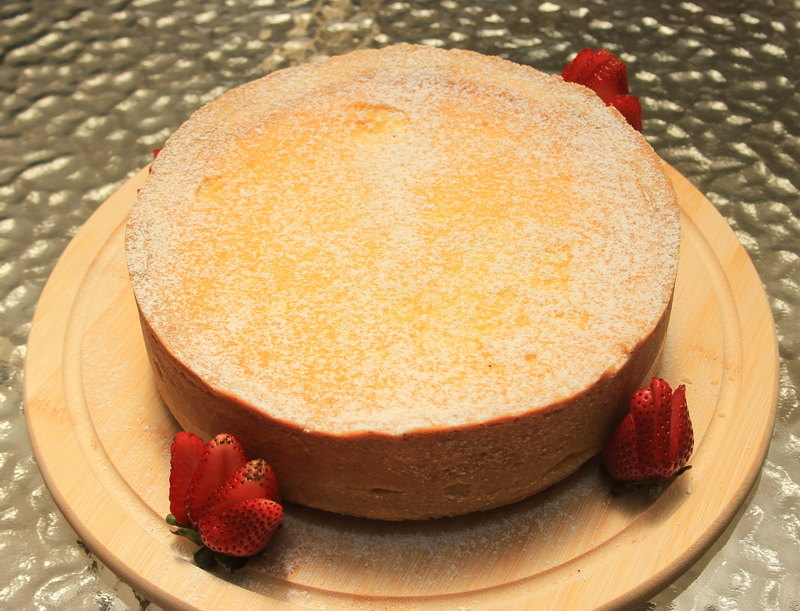 Smooth top, make an indentation in centre (to prevent cake from doming), bake until an inserted skewer withdraws clean (1-1¼ hours). Cool in tin, then turn out onto a wire rack. 3 – Place remaining marzipan circle on top of cake, set aside. 4 – For chocolate glaze, bring cream just to the boil in a small saucepan over medium-high heat, add chocolate, remove from heat, stir until smooth, stir in butter to combine. Pour over cake, allowing chocolate to spill down sides. 5 – Arrange almonds on top, stand until set (1-1½ hours). Dust with cocoa and serve, cut into wedges. Cake will keep, stored in an airtight container, for 3 days, but is best glazed on the day of making. I hope you enjoy it as much as my friends did! Often people turn to medication to speed up their metabolism, but there is really no readily available treatment that is proven to be effective- and safe. The key to improving your metabolism is making healthy lifestyle changes. Paying attention to what and how you eat and increasing your level of exercise is the best way to achieve the results you want. Think of your metabolism as the ‘engine’ of your body- it will react differently to different types of fuel and different levels of exertion. Making smart changes to your diet and exercise can help you to figure out what works for you and help you to lose weight quickly and healthily. Cut down on carbs. Reducing the amount of carbs in your diet plan is often an effective way to boost your metabolism. Studies have shown that eating a low-carb, high-protein diet can help you to lose body fat and retain muscle, giving you more energy and making you look and feel healthier. Replacing some carbs such as breads and starches with protein-rich foods like lean meats, poultry and dairy is a good place to start. Don’t go overboard- cutting out all carbs, while a favourite diet trick of Hollywood celebrities, is just setting you up for other health problems, so make sensible choices. Reduce animal protein. Some research has shown that cutting back on the amount of animal protein you consume can help improve your metabolic function. You don’t have to go completely vegetarian or vegan, but reducing the amount of meat in your diet can have numerous health and weight loss benefits. A recent study showed that eating a diet full of fruits and vegetables, and low in meat and dairy, could result in a metabolic improvement of up to 24 percent. Eat more fibre. Nutritionists suggest that replacing 10 percent or more of your meal with high-fibre foods can help you to burn more calories for several hours. Choose high-fibre foods rich in complex carbs, rather than simple carbs like sugar. Fibre and complex carbs have a higher ‘thermic effect’, which basically refers to how the body converts calories into body heat. Reduce portions. A lot of us eat portions much larger than the recommended serving sizes- particularly when it comes to carbs. So it might not be the carbs so much that your metabolism is responding badly to, but rather the amount that you are eating. Try to reduce your portion sizes by eating five or six small meals throughout the day, rather than three big ones. Serve our smaller helpings and only go back for more if you’re still hungry after twenty minutes. Eating smaller amounts more regularly is a key way to get your metabolism functioning well. Don’t crash diet. When you reduce your calories too much, your body goes into ‘starvation mode’, which results in water retention and a significantly slower metabolism. It’s also more likely to make you binge, causing rapid regain of whatever you lost during the starvation stage. Doing this repeatedly over time can slow down your metabolism considerably and make it much harder to speed it up again. Instead of starving yourself or following fad diets, it’s much better for your body to reduce your portions sensibly and make smarter food choices, at the same time as increasing your exercise. This is not only healthier, it’s actually a more effective way to lose weight in the long term. Exercise regularly. Moderate exercise for 30 to 45 minutes, 3 to 5 times a week improves your metabolism. And physical activity triggers your muscles to use up calories rather than to story them as fat. So maintaining muscle mass actually consumes more energy for the body. Developing a regular, balanced exercise plan of cardio and strength training is the best way to speed up your metabolism and look and feel better. Remember that age and time also has an effect on your metabolism. Our metabolic rate tends to speed up, then slow down as we age. Nursing mothers are likely to experience a surge in their metabolism, and women going through menopause will probably see a metabolic drop. Just try to maintain healthy eating and exercise habits as appropriate for your body. Making the above lifestyle changes are a good start to slimming down and getting the healthy, toned body you want. 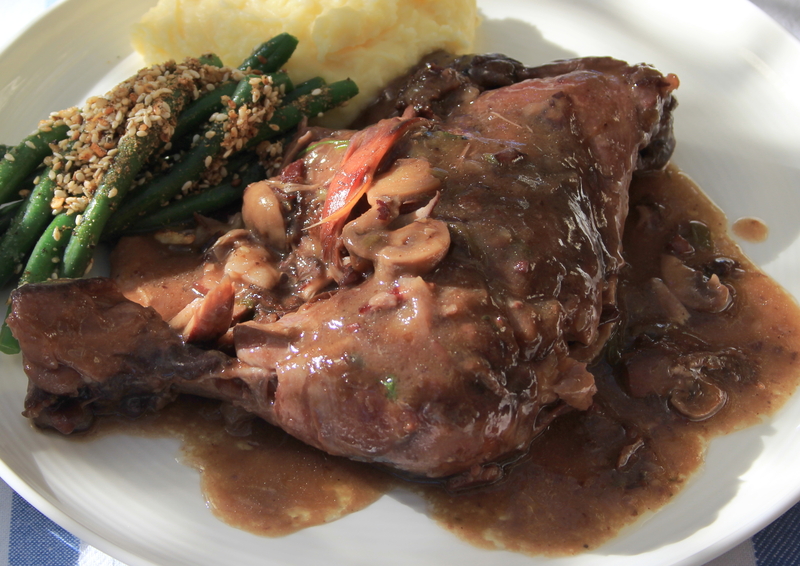 A perfect winter dish: Coq au Vin! My husband and I travelled through France for almost a month drinking stunning wine, visiting Chateaux, wineries and beautiful Medieval cities such as Carcassonne and Avignon, my two absolute favourites! Loved the food and was amazed to see how kind and nice French people were when you did your absolute best to speak to them in French. They knew we were trying hard and they appreciated which made our holiday even more enjoyable. Some of the wine makers took us out for lunch and introduced us to their delicious and traditional food such as Cassoulet, Beef Bourguignon, Escargot, Rocquefort S1 oalad and many more. 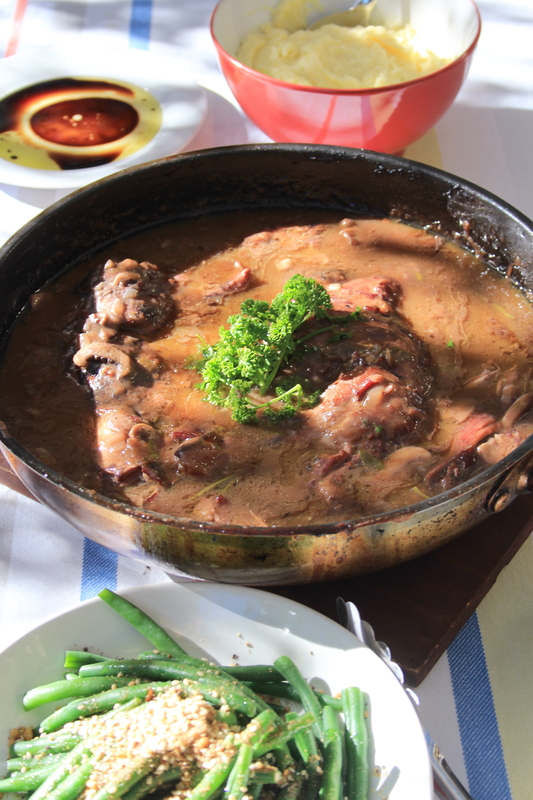 But one of my favourites was in the wonderful wine region of Burgundy – the Coq Au Vin. It was so delicious I can still remember it and I wish I were back there eating it instead of being at home cooking it! Unfortunately living in Australia is not that easy to jump on an airplane and get there to enjoy it, so here you go the recipe. Not the same as eating it in Burgundy but this will do for you to entertain your guests with a delicious comfort food perfect for winter! If you want this dish to taste sublime I highly recommend to start this the day before you wish to serve it. 1. Place the wine, carrot, onion, crushed garlic, peppercorn, thyme springs, bay leaf and chicken in a large bowl. Cover with plastic film and refrigerate for 2 hours, or overnight if time permits. 2. Drain the chicken, reserving the wine and discarding the vegetables, peppercorns and herbs. Pat the chicken dry with paper towel. Heat half the oil in a large heavy-based frying pan over medium heat, then, working in batches, cook the chicken, turning once, for 6-7 minutes or until golden. Return all the chicken to the pan, add the brandy and carefully light it with a long match, then, when the flames die down, remove the pan from the heat and set aside. 3. Heat the butter and remaining oil in an enamelled cast-iron casserole over medium heat. Add the speck and onions and cook, stirring, for 5 minutes or until the onions are light golden. Add the eschalot, finely chopped garlic and mushrooms and cook, stirring, over medium heat for 6-7 minutes or until light golden. Add the flour and stir to combine Well, then cook, stirring, over medium heat for 2 minutes. Gradually add the reserved wine, stirring continuously to prevent lumps forming. Bring the mixture to a simmer, then add the bouquet garni and the browned chicken pieces and any pan juices. Cover the chicken and cook over low heat for 1 1/4 hours or until tender. 4. Scatter the chicken with parsley, then serve with mashed potatoes and steamed green beans. Yumm!!! Enjoy it and stay warm! 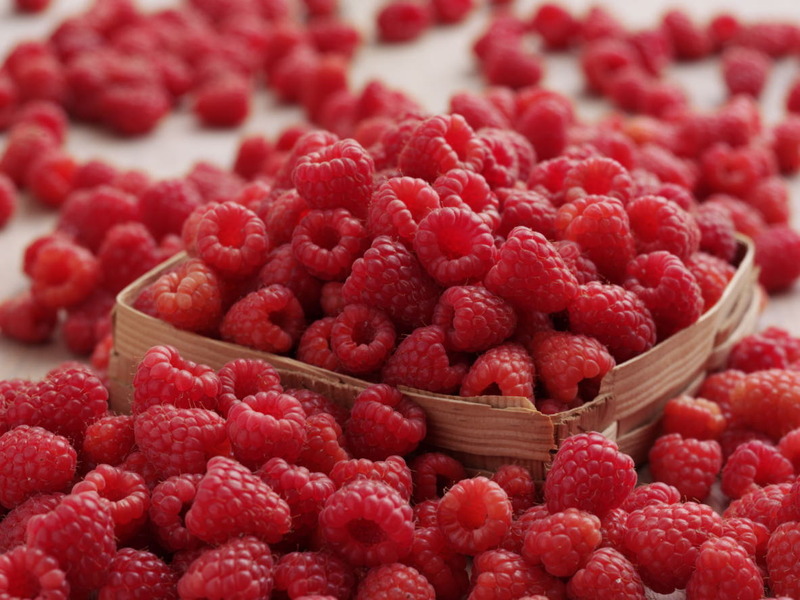 Raspberries are a great source of fiber—some of it soluble in the form of pectin, which helps lower cholesterol. One cup of raspberries has 8 grams of fiber. Raspberries are also an excellent source of vitamin C.
A medium-size baked sweet potato (2 inches wide, 5 inches long…a little larger than your computer mouse), skin included, offers 5 grams of fiber—for just 103 calories. It’s also a nutrition powerhouse: providing 438% daily value of eye-healthy vitamin A (eat these foods to help you see more clearly), 37% daily value of vitamin C, plus some potassium, vitamin E, iron, magnesium and phytochemicals like beta carotene, lutein and zeaxanthin. 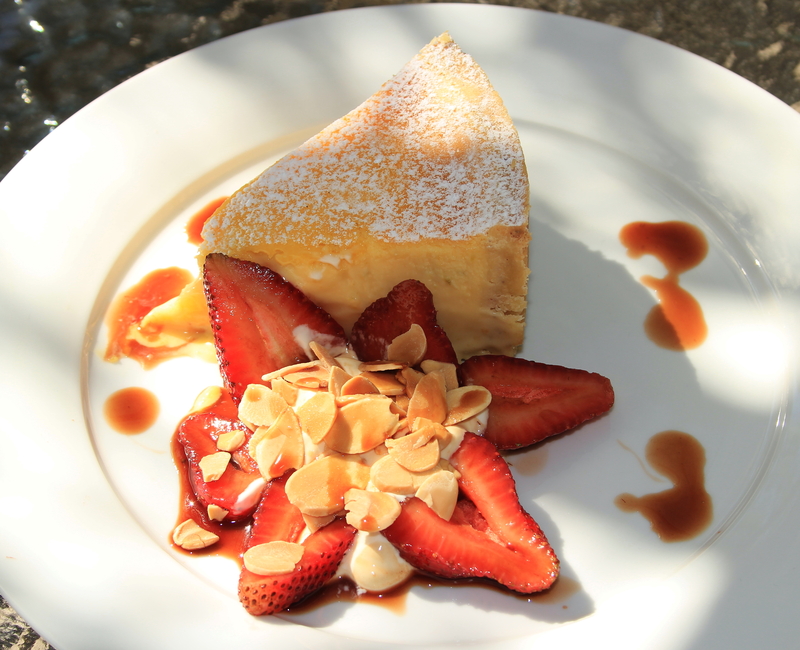 Semifreddo (pronounced [semiˈfreddo]), is an Italian word that means half cold. It refers to a variety of chilled or half-frozen desserts including custard and icecream. 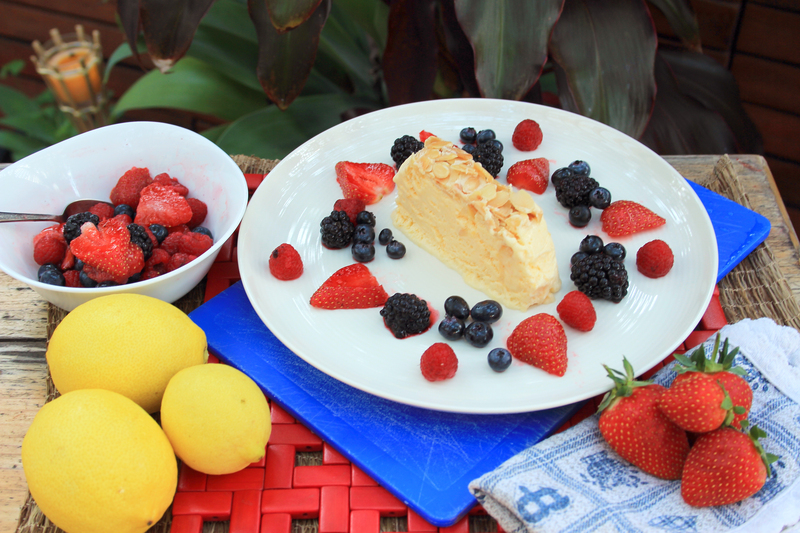 So this weekend I made a delicious Almond and Lemon Semifreddo with Summer Mix Berries. You can make different types of Semifreddo such as hazelnut and coffee, white chocolate and pistacchios, raspberry and coconut and so on but a I do like this for something really refreshing and a light dessert to end a long meal. Here it is the recipe, it’s easy and absolutely delicious!! Whisk 1 1/4 cups sugar, egg yolks, lemon juice, lemon peel, and salt in large metal bowl to blend. Set bowl over large saucepan of simmering water and whisk constantly until yolk mixture is thick and fluffy and instant-read thermometer inserted into mixture registers 170°F, about 4 minutes. Remove bowl from over simmering water. Using electric mixer, beat mixture until cool, thick, and doubled in volume, about 6 minutes. Fold in chilled whipped cream. Transfer mixture to prepared loaf pan and smooth top. Tap loaf pan lightly on work surface to remove air pockets. Fold plastic wrap overhang over top to cover. Freeze semifreddo until firm, at least 8 hours or overnight. DO AHEAD: Semifreddo can be made 3 days ahead. Keep frozen. Gently mix all berries and remaining 2 tablespoons sugar in large bowl. DO AHEAD: Can be made 3 hours ahead. Cover and refrigerate. YUMMM!!! So refreshing! Perfect for a very hot day and to end a heavy meal!! I hope you do well in making it and ENJOY!! Who doesn’t like lemons? Did you know that lemons are an excellent source of vitamin C? The juice from one lemon has about 40mg of vitamin C, which is almost 100 percent of the Recommended Dietary Intake (RDI) for adults. This lemon lime tart is so refreshing, light and perfect for summer! Using a mixer with a paddle beater, beat the butter and the icing sugar together until light and fluffy. Add one egg at the time while continuing to whip, then add the vanilla. Turn the mixer to the slowest speed and add the flour, ground almonds and salt and mix until everything is well combined. Divide into two equal-sized balls, wrap in cling wrap and chill or freeze until ready to use (I do recommend to do it the night before or to keep it in the fridge for several hours). Once ready to bake the tart preheat the oven to 170C (340F). Roll the pastry out on a bench dusted with flour to an even 5-7mm thickness and place into a greased tart tin or ring. Press tightly into the tin, trimming off any excess. Chill the pastry case for at least 30 minutes before baking. Remove pastry ring from the refrigerator or freezer and line with greaseproof paper. Fill with some raw rice, pasta or dried beans. This will prevent the pastry from lifting or getting air bubbles during cooking. Bake in the oven for 10 minutes. Remove the paper and rice/beans and continue to bake the pastry case for another 2 minutes to ensure the centre of the base is cooked. For the filling, whisk the whole eggs, yolks and sugar in a large bowl until well combine, then whisk in the cream. Stir in the lemon and lime juice and zests, mix well, then pour into a pouring jug. Place the empty tart shell back into the oven. Carefully, pour the lemon-lime filling into the empty tart shell, just to the top, being careful not to allow any to spill over the edge, as this will make the tart stick to the ring. Bake at 160C (320F) for 30-40 minutes or until the filling is set. Remove from oven and cool. Cut into wedges, dust with icing sugar and serve with toasted almonds, fresh strawberries and a good dollop of double cream. YUMMM!! Please give it a try and leave your comments! Looking for a main to impress your guests? Follow this recipe and you will! It does take time but you won’t regret it. I have made this dish over three times now and it’s definitely one of my favourites! 1. Preheah oven to 220C. To make sauce, place oxtail bones on an oven tray and roast for 30 minutes or until browned. 2. Heat oil in a large stockpot over medium-high heat. Add vegetables and cook, stirring for 5 minutes or until softened. Add oxtail bones and remaining ingredients. Simmer for 30 minutes or until reduced by half. Strain mixture through a fine sieve, into a bowl, discarding solids. Return sauce to pot over medium heat and simmer for 10 minutes or until thickened slightly. 3. Reduce heat to 200C. Brush beef all over with oil and season. Heat a large frying pan over high heat. Add beef and cook, turning, for 6 minutes or until browned all over. Transfer beef to an oven tray and roast for 35 minutes. Remove from oven and set aside, loosely covered with foil, for 20 minutes to rest. 4. Meanwhile, to make porcini crumbs, reduce oven to 150C. Using a mortar and pestle, grind porcini with 1 pinch of salt and pepper to a fine powder. Combine breadcrumbs, porcini mixture and oil in a small bowl. Place on an oven tray in a single layer and bake for 10 minutes or until crisp and golden. 5. To make cauliflower puree, heat butter and oil in a medium saucepan over medium heat. Add cauliflower and onion and cook, stirring, for 5 minutes or until softened but not browned. Add milk and simmer, covered, for 10 minutes or until softened. Drain, then blend cauliflower with cream until smooth. Season. 6. Melt half of the butter in a medium frying pan over medium heat. Add mushrooms and cook for 5 minutes or until tender. Stir in garlic and cook for 1 minute or until fragrant. Season. 7. Melt remaining butter in a small saucepan over medium heat. Add spinach and cook, tossing for 1 minute or until wilted. Season. 8. Divide cauliflower puree among serving plates. Top with spinach. Discard string from beef and slice, then place on top of spinach. Dot mushrooms on plate and pour over sauce. Sprinkle over crumbs to serve. A delicious main!! Enjoy it! !